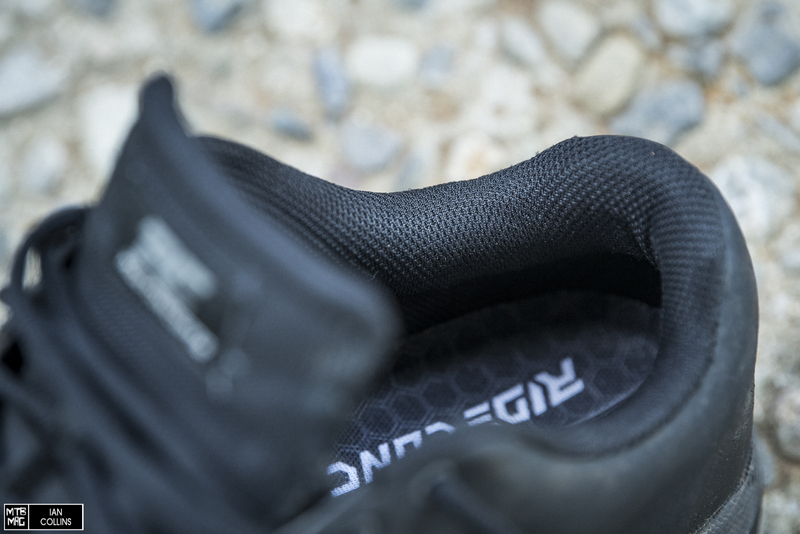 Starting with the honey comb pattern outsole, Ride Concepts partnered with Rubber Kinetics, a brand also recently employed by GoodYear for their MTB tire foray. RC essentially offer 3 different durometers: Max, High and Mid. The bulk of their shoes, Hellion included, fall under High. 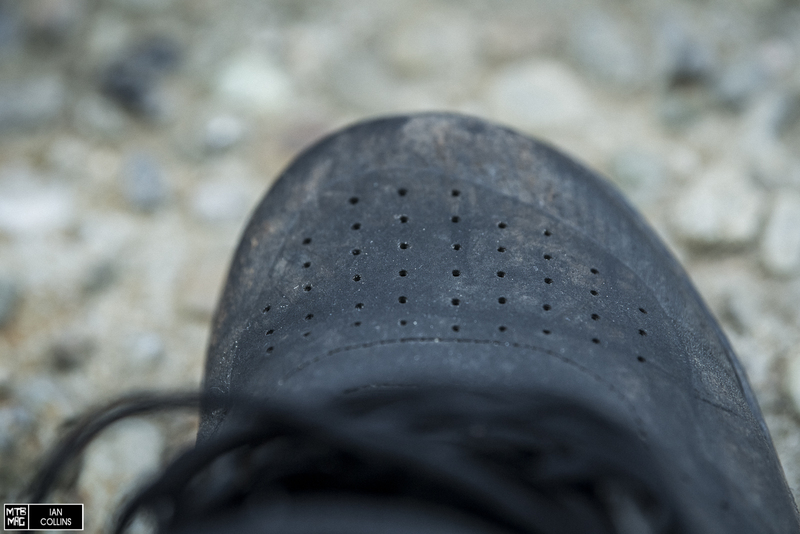 Like many MTB shoes, we found them to be a bit stiff initially, but they broke in nicely after a few rides and dig days. One thing we liked is that the softening plateaued and the shoes remained fairly stiff, which provided great power transfer. 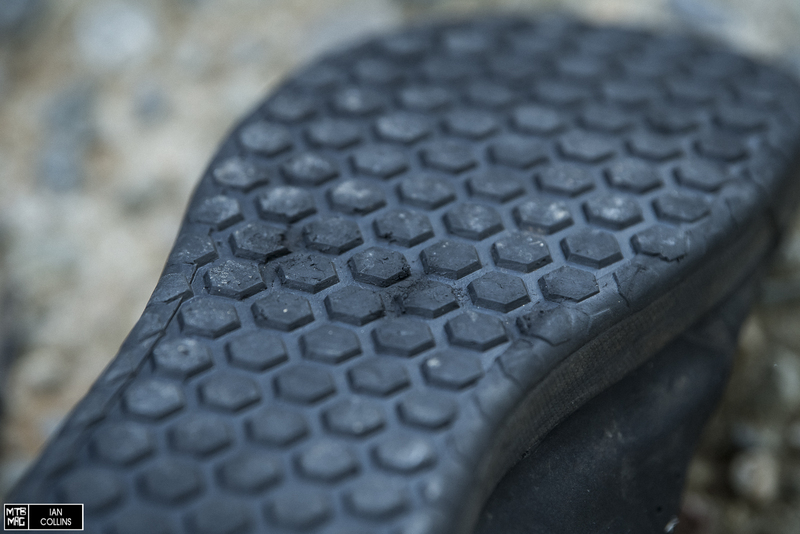 In terms of traction, the Hellion’s outsole isn’t super soft and sticky, and thus it did take some time for the traction to get “just right”. While this made for a bit of delayed gratification, the durability has proven to be better than most. The tongue features discrete spandex gussets on each side, which helped to keep junk out, without bunching up or causing any hot spots. 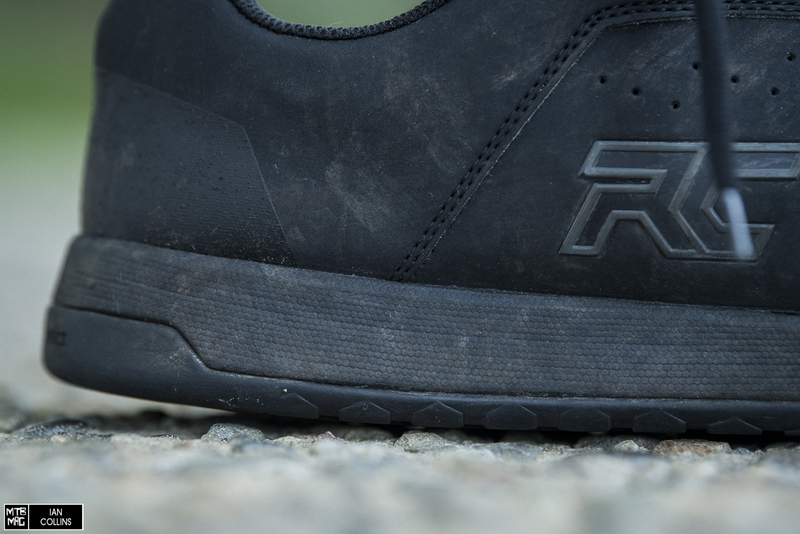 Perhaps one of the best design elements of the Hellion is its toe bumper. Both the heel and toe are finished with nicely integrated anti-abrasion coating. The agents used and means of bonding everything together is the best we’ve seen as nothing has shown any signs of delaminating or degradation. Lastly, the toe cap is very firm, providing excellent protection from bruising when you get off-line. 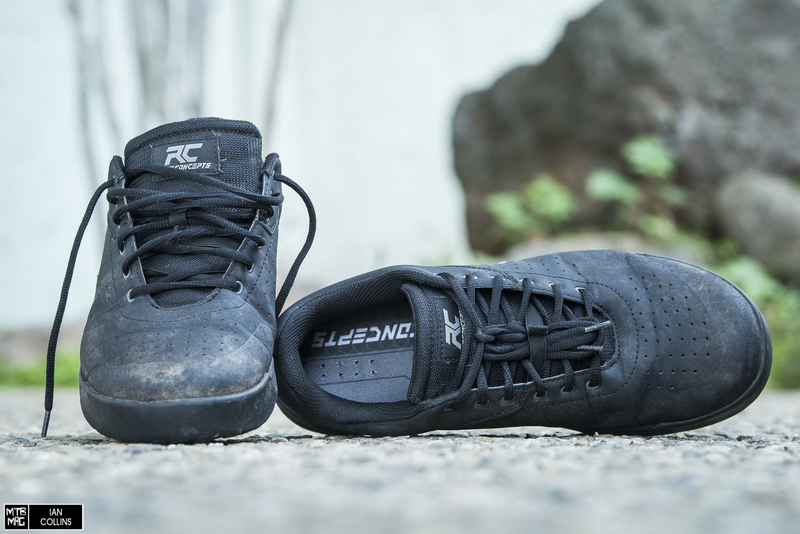 Ride Concepts use a flat lock style lacing system with oval shaped eyelets and laces. 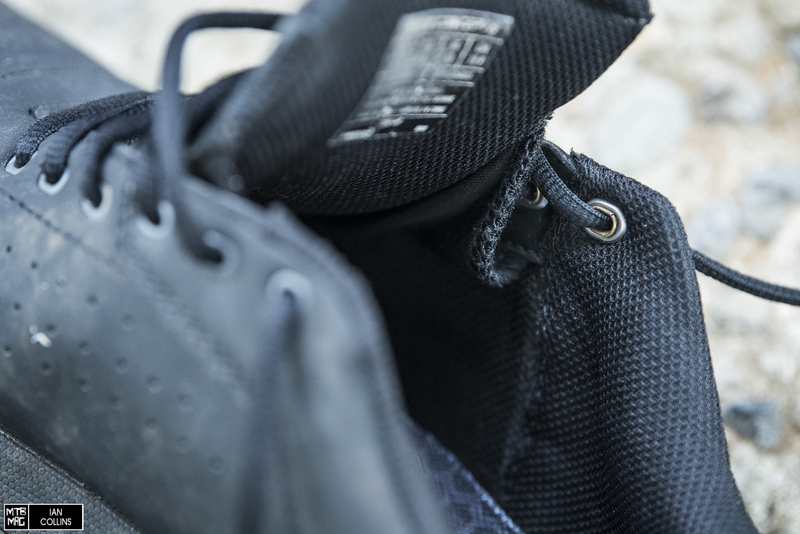 In reality it wasn’t all that effective in preventing the laces from twisting around, but in the grand scheme of things, it isn’t a big deal and certainly doesn’t hamper performance or comfort. There is a fair bit of perforation both at the toes and flanking each side of the arch. We found the Hellions to be good in terms of breathability. We’ve been in shoes that get hot and swampy and we’ve been in shoes that run slightly cooler, but simply put, temperature was an afterthought, so they’re doing something right. It’s also worth noting that whenever we soaked the Hellions on rainy rides, they dried out fairly quickly. The cuff is densely padded and nicely contoured all the way around. 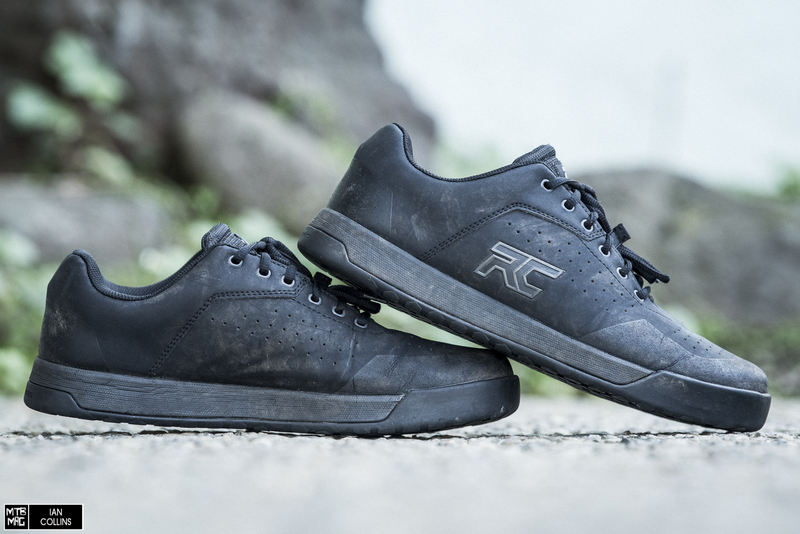 The materials used proved to be durable, while still being soft and comfortable. There were no funny high spots and we experienced no chaffing of any sort. 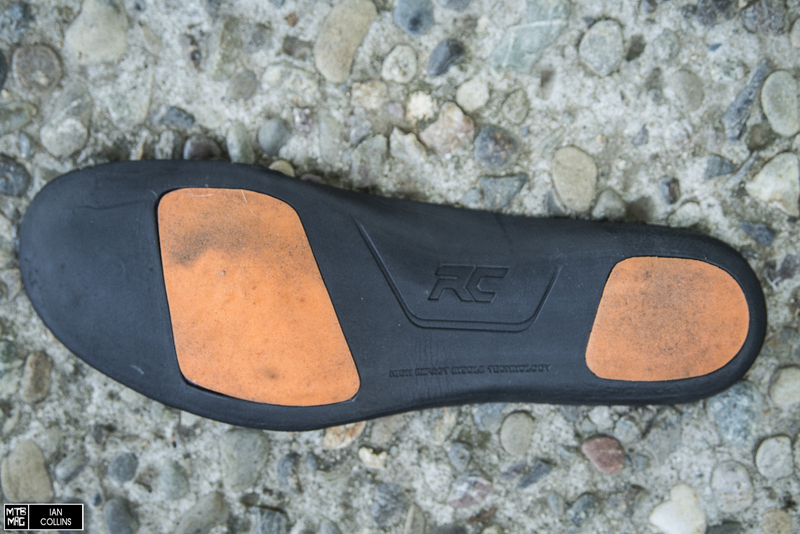 One area of the shoe where Ride Concepts really went the extra mile is with the insole. 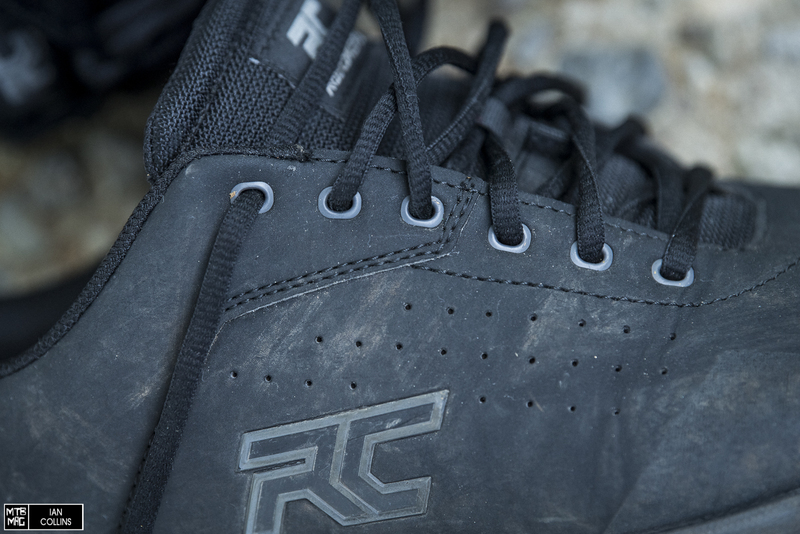 First and foremost, it has far more contour and structure than what arrives stock in the average MTB shoe. The only insoles that even comes close are the Specialized Body Geometry, which cost an additional $30 on top of the price of their shoes. 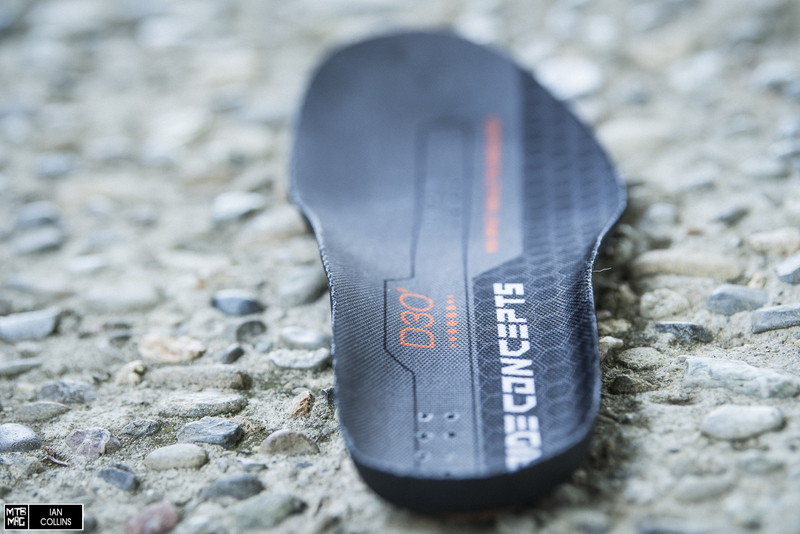 In addition to having excellent contour, the Ride Concepts insoles feature D3O padding at the heel and forefoot. If you aren’t familiar with D3O, it’s a foam compound which, under light to moderate pressure is soft, but firms up on fast, firm impacts. It’s broadly used in sports protective wear in areas such as elbow and knee padding. This is the first time we’ve seen it in a shoe, and it is a great choice for the application. 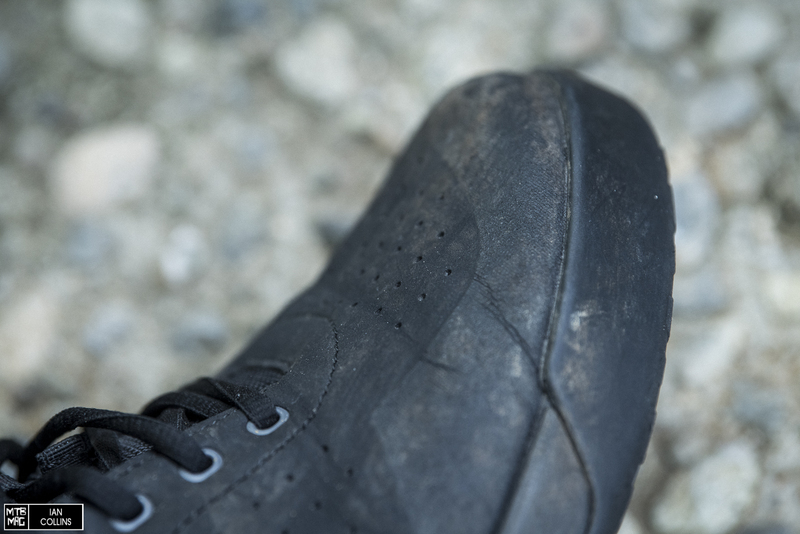 Last, but not least, the Hellions have a fairly standard EVA midsole. It’s a tried and true choice for cushioning seen in athletic shoes far and wide, aimed at loads of different disciplines. After a handful of Fall and Winter months spent in the Hellions, we’re happy to report that they delivered nearly flawlessly, which is particularly impressive for a startup brand. Framing the slightly long break in time as an issue would be unfair. After all, it is part of the reason why the shoes have held up so admirably. The fact that they come in whole sizes only may be an issue for some riders though. With that in mind, our tester found them to fit accurately and true to size. The features, materials and construction methods used are all top rate, and thus the comfort, protection, traction, power transfer and walkability are all beyond expectation. At $130 US, we think the Hellions bring great value to the table. 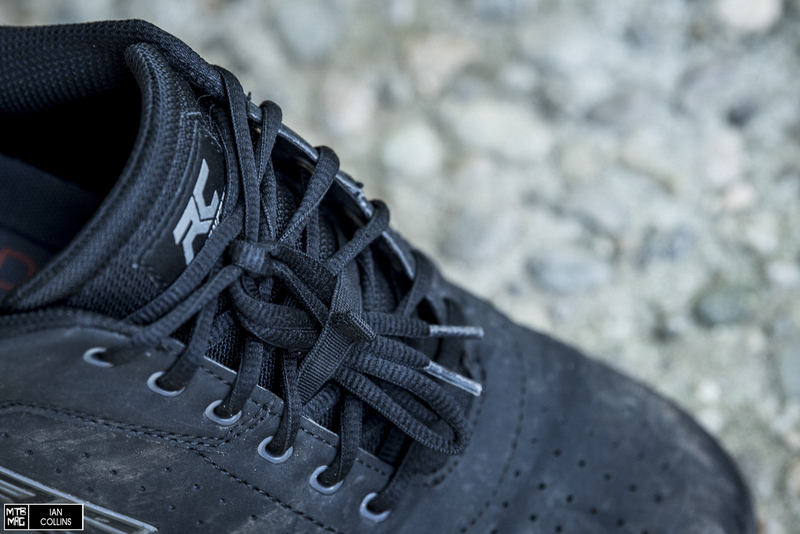 Competition is good, so it’s exciting seeing a new brand successfully shake things up in the MTB shoe world, which, in our opinion has been a bit stale as of late.